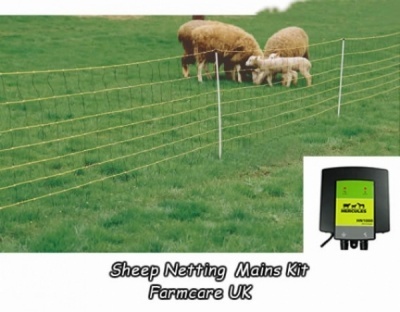 This kit is designed as a starter kit to create either a 50 meter or 100 meter portable sheep proof fence. It is important that you work out how much lead out wire will be needed if you are going to be moving the nets about. 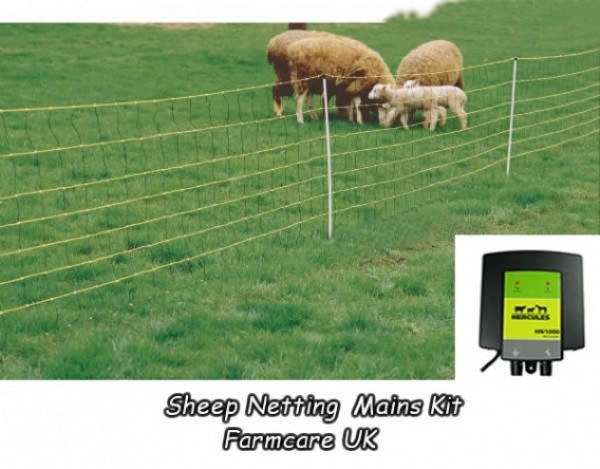 The lead out wire takes the power from the M2 energiser and carries it to the sheep net. The big advantage of the mains power is you get a much greater shock for your money and there are no batteries to go flat. This netting incorporates a semi-rigid plastic vertical strut every 30cm instead of plain poly wire. This helps to keep the nets shape over more contoured ground. This is a simple yet capable 240v energiser is new easy to use and very economic to run at only 2 watts. This unit is well suited to shorter fences up to 1500 meters or 6 nets.